It is in gorgeous condition, and matches my copy of The Black Stallion perfectly (except my copy is kind of in pieces). 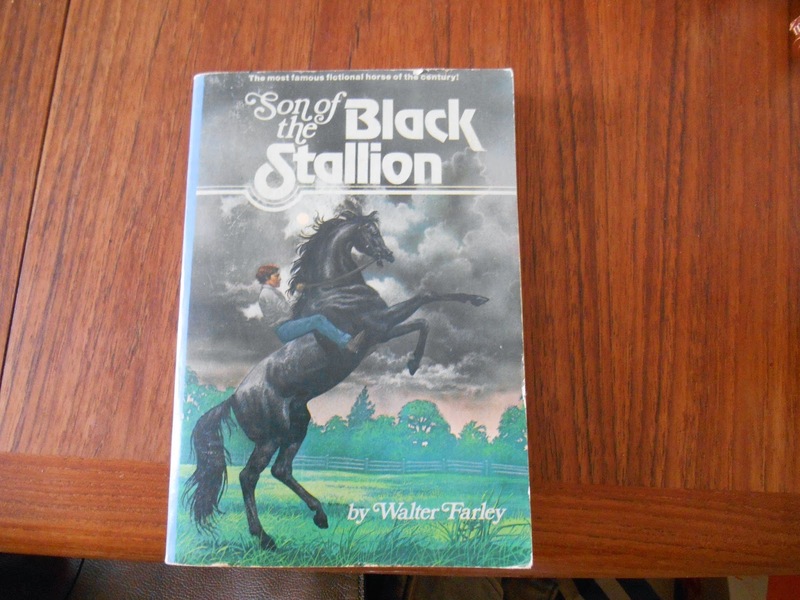 At one point I had dared Hannah to do a re-read of all the Black Stallion books. Maybe starting that will be a way to pretend that it will be summer again someday? Love love love the old Black Stallion covers, just gives me total Nostalgia to my days spent in the local library. Walter Farley's books are my absolute favorite horse books! Oh, man, I wish I could remember where I petered out! They were just as good as I remembered, though. The races read just like live calls; it's really well done. The Black Stallion and Satan is still the very, very best. The book about Black Minx is second. IT SO IS. Agree 100%. The race in the forest fire…! I just did a quick search on half.com and found a seller with most of the series listed for $0.75 each. That's really, really tempting. I still remember the hot potato trick with Black Minx. Yes! The new covers aren't nearly as good, and some of them are downright weird. I tend to be a Marguerite Henry person – the history! – but Walter Farley is absolutely up there. I love his Man O'War book. They are such wish fulfillment books!